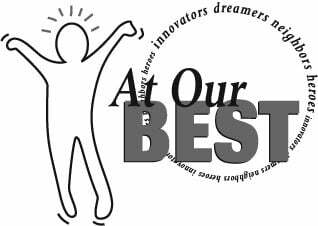 Each week “At Our Best” highlights the achievements of those in our community. It includes honors, awards and other recognition that is being earned by local residents. Please send or deliver such information, along with pictures of those honored, to the newspaper in care of news clerk Jane Stoltz, 1837 N.W. Circle Blvd., Corvallis, OR 97333 or news@gtconnect.com. Avery Hsieh and her brother, Adrian Hsieh, won first and second place, respectively, at the junior division of the 2018 Eugene Symphony Guild Young Artist Competition on April 15 in Eugene. At the time of the competition, Avery was a sophomore at Corvallis High School. She is a violin player. Adrian was an eighth-grader at Linus Pauling Middle School, and plays cello. The competition is open to exceptional Oregon instrumentalists ages 14 to 18 for the junior division and 19 to 25 for the senior division. The junior division prizes include $500 for first place and $250 for second place. Senior division prizes include $1,000 for first place and $500 for second place. The winner of the junior or senior division may be offered the opportunity to perform with the Eugene Symphony for the Symphony in the Park summer concert. Winners of both divisions may be asked to perform at Eugene Symphony Guild and other community engagement events. Nicole Lang, who recently graduated from Harrisburg High School, was awarded a $1,500 college scholarship by SELCO Community Credit Union. Lang was one of 22 graduating high school seniors throughout Oregon to receive a scholarship, which is awarded to provide assistance for college-related expenses and help fulfill SELCO’s mission to aid member-owners in achieving their goals. Scholarship recipients were chosen from applicants from all 26 Oregon counties that SELCO serves. Winners were selected based on criteria that include both academic performance and community involvement. To qualify, recipients had to be graduating from a four-year accredited high school in Oregon, have a cumulative grade-point average of at least 3.5, and plan to attend a two- or four-year college or university. Applicants were asked to submit letters of recommendation and an essay on what their personal Wikipedia entry will say in the year 2050. Robert Livesay of Corvallis graduated from the University of Montana on May 12 with a master’s degree in forestry. He previously received a bachelor’s degree in geosciences from UM. Livesay has a job lined up as a stream hydrologist working on the Teton River near Choteau for an environmental consulting firm. He spent much of his youth raising pigs through 4-H for state competitions. The city of Brownsville and Benton County each have received grants through the federal Historic Preservation Fund, administered by the Oregon State Historic Preservation Office. Brownsville received $3,500 to install replica wallpaper in the ladies’ parlor of the Moyer House museum. Benton County received an unspecified amount to replace a portion of the roof of the Independent Community Center near Philomath. Alexander Hoffman, a 2008 Corvallis High School graduate, recently received the Outstanding Medical Student Award from Oregon Health & Science University in Portland. The $10,000 scholarship is based on academic achievement, extracurricular activities and leadership qualities. Hoffman, who graduated from the University of Oregon Honors College, taught for Teach for America in Greenville, Mississippi, for two years before entering medical school at OHSU last year. He is the son of George Hoffman and Jennifer Parke of Corvallis. Nicholas Troy Gambatese of Corvallis, a 2014 Corvallis High School alumnus, graduated in April with a Bachelor of Science degree in accounting and a Bachelor of Arts in computer science from University of Redlands, California. He earned a 3.71 grade-point average and will start a job at PricewaterhouseCoopers in August. He is son of Janet and John Gambatese of Corvallis.